As autumn days get shorter, its time to think about lighting options. LED holiday lights are the green way to decorate! "LED" stands for "light emitting diodes." 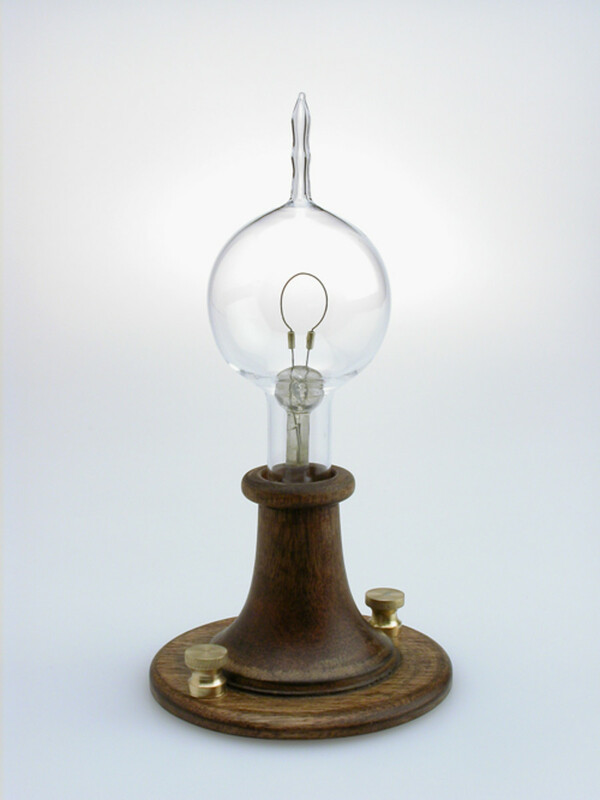 The technology uses a semiconductor light source, and is especially bright. Just what you need for lighting your home for the holidays. Compared to traditional holiday light strands, LED holiday lights are cool to the touch and require considerably less energy to illuminate (about 1/10th of traditional incandescent holiday lights!) They will help you save money and the environment this holiday season. Not only that, but LED lights are safer than most light strands used for decoration. As your Christmas tree dries out over the season, you don't have to worry (as much) about fire if you are using LED holiday lights. For those of you that want to know... how do they work? Light-emitting diodes illuminate by operation of electrons releasing photon energy. Technically, the lights glow via electrolumninescense, and the color of the LED light is determined by the energy gap of the semiconductor (source: Wikipedia). 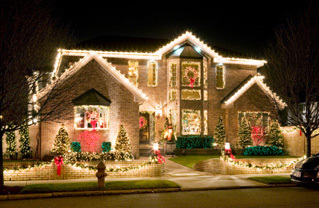 Its easy to use LED holiday lights, and there are a number of options for you to consider. 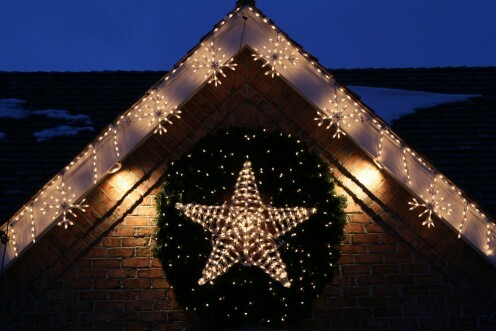 Holiday light strands, icicle lights, snowflake lights and net lights are all available with LED lights. Choose colored or white lights, as well. 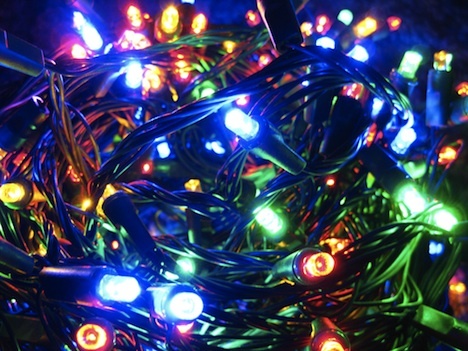 Most LED holiday light strands can be plugged in to run on electricity. Again, LED lights are "greener" than incandescent because they use a mere fraction of the energy. There are also solar-powered LED holiday lights that are connected to a small solar panel device. Insert the solar panel into the ground and position it to absorb UV light during the day. At night, your LED holiday lights will automatically come on without the need to flip a switch, or pay for electricity. Even better, you don't need to look around for an outlet or fuss with extension cords when you use solar powered LED holiday lights. These days, you can find LED holiday lights at just about any retail outlet that sells holiday decorations. The cost of LED lights is comparable to traditional incandescent lighting strands, but will last longer. Did you know that the famous Christmas tree in Rockefeller Center, NYC, has been decorated with LED holiday lights for the past 3 years? That's right - more than 5 miles of light strands (over 30,000 individual lights) light up the holiday season in New York with energy-efficient LED lights. The power to illuminate the iconic tree comes in part from the more than 300 solar panels installed on top of Rockefeller Center in 2007. The Rockefeller Christmas Tree is lit from 5:30 a.m. to 11:30 p.m. each day from the end of November through the first week of January. All those lights use less than 1/3 of the energy that would otherwise be required for incandescent bulbs. The daily energy savings achieved by using LED holiday lights on the Rockefeller Christmas Tree is equivalent to the power typically used by a 2,000 square foot home! In fact, consumers these days have many more LED holiday light options than before thanks in large part to the excitement about the Rockefeller Tree LED lights! Steph, Awesome and oh so environmentally friendly! I love the clarity of LEDs. Lovely photos of Christmas lights, which I cherish as part of the holiday tradition. 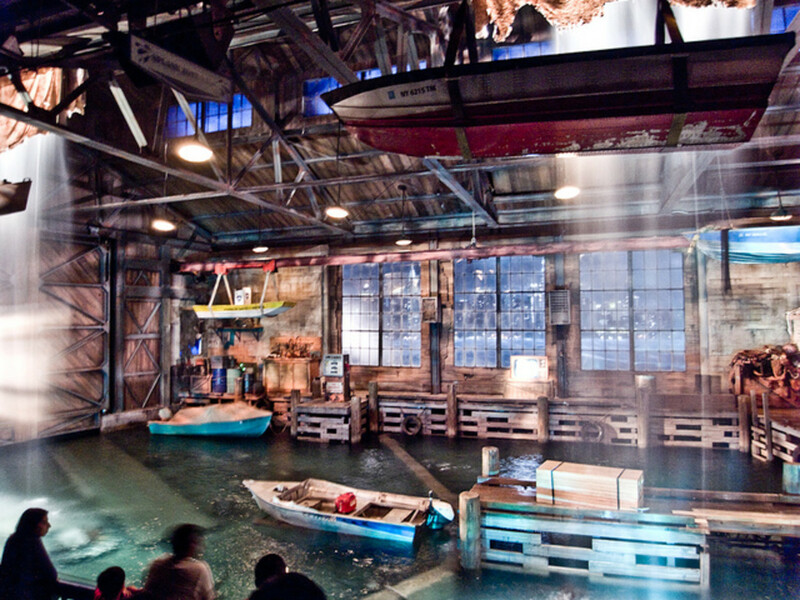 LEDs look great when they are used at home and at different designs. I know those type of decorations do not light up, but those are some of my favorite ones when coupled with a snowy Christmas. LED lamp energy saving and environmental protection, worth the world promotion. 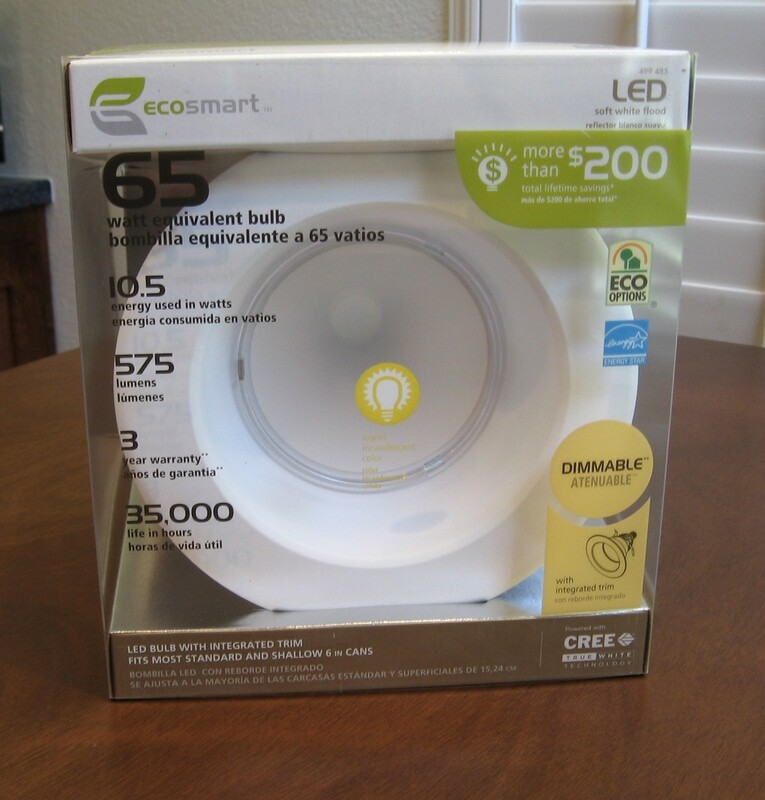 The power savings of these LED's will surely win over the cost of these compared to regular incandescent lights. 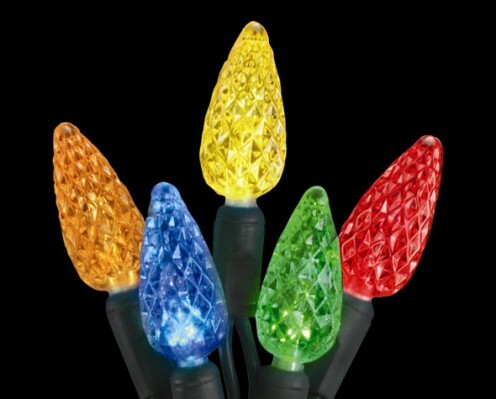 Not to mention how much more durable, safe, and brighter these are compared to regular Christmas lights. No more Christmas trees lighting up because of hot bulbs! How many feet does a string of 200 LED bulbs cover?? I am slowly switching over to LED lights so this HUB was helpful. Great pics too and didn't know about the NY tree so that is awesome! Even though the upfront cost is a tad bit more then the others the over all cost like you shared is so much better and like you said when one bulb is out the string still works ... plus they don't break as easily as the glass ones. One of my fav things too is you can keep hooking LED strings together one after another unlike my old strings where after 3 you would start blowing the fuze in the first string out. I should say that Live or Real Christmas Trees will do better but by merely looking at LED lights on Christmas trees, I need to admit that it definitely strikes a great impact for the Holiday Season. Excellent idea! Thanks SweetiePie - you are right! 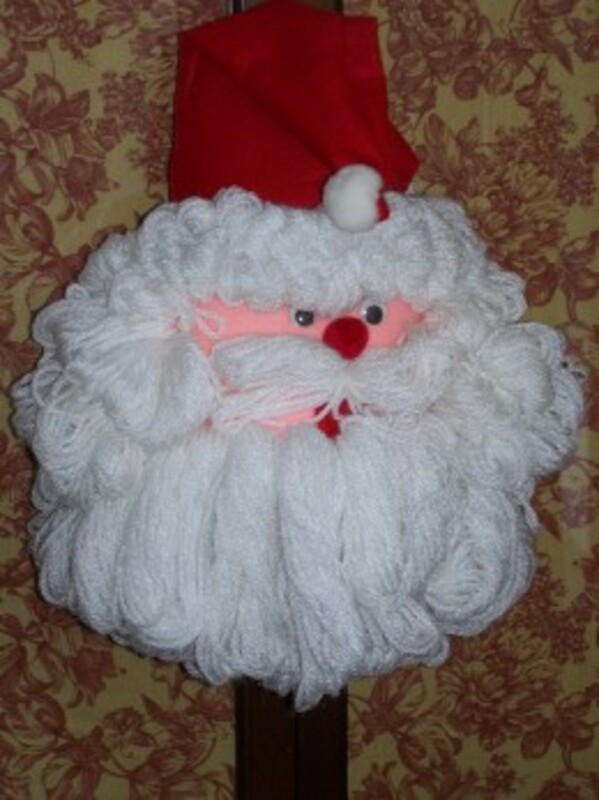 There are many eco-friendly ways of decorating to save money and the environment. I read about using packing peanuts to string along as garland. 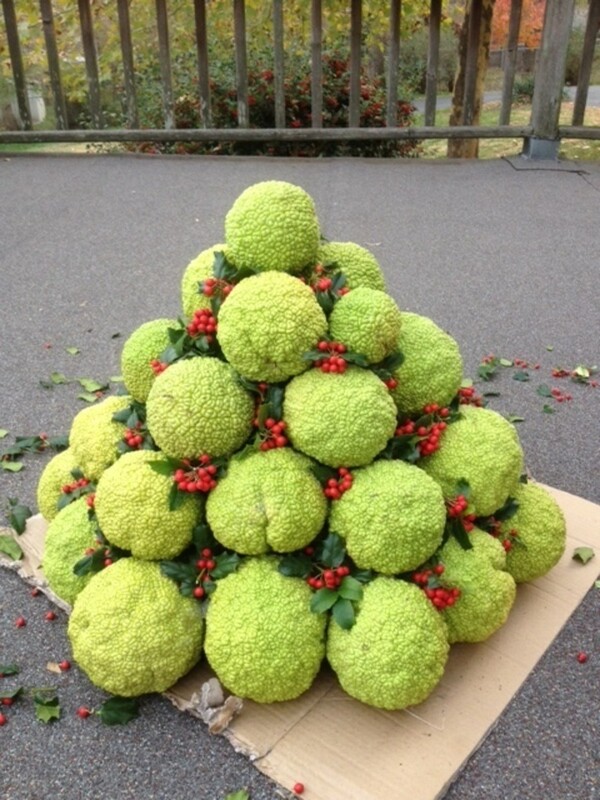 Now, that's one way to recycle them! Great ideas about LED lights Steph! Also, people could focus on having more eco friendly decorations outside, such as wreathes with holly, red bows, and pine cones. I know those type of decorations do not light up, but those are some of my favorite ones when coupled with a snowy Christmas.